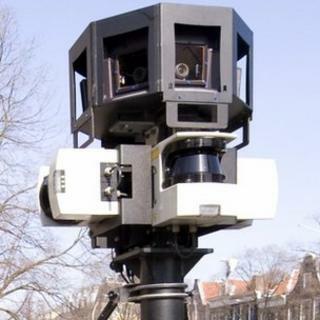 Google has admitted that it had not deleted users' personal data gathered during surveys for its Street View service. The data should have been wiped almost 18 months ago as part of a deal signed by the firm in November 2010. Google has been told to give the data to the UK's Information Commissioner (ICO) for forensic analysis. In May 2010 it was revealed that Google had scooped up about 600 gigabytes of personal data from unsecured wireless networks while gathering images and location data for Street View. The data was collected for years in 30 countries while Google compiled information for the mapping service. Google apologised for gathering the data and said it was a "mistake". The blunder led to legal action, fines and investigations around the world. In the UK, Google gave an undertaking to destroy the data it was holding and issued a statement saying it had done so in December 2010. However, said the ICO, Google had recently contacted it to report that some of the data it had gathered had not been deleted. The company approached the ICO with the revelation to find out how it should act. In response, the ICO told Google to hand over the data immediately "so that we can subject it to forensic analysis before deciding on the necessary course of action". Possessing data that should have been deleted "appears to breach" the undertaking Google signed in November 2010, said the ICO in a statement. "The ICO is clear that this information should never have been collected in the first place and the company's failure to secure its deletion as promised is cause for concern," it added. Ireland's data protection watchdog also expressed displeasure. Deputy information commissioner Gary Davis said the search giant's action was "clearly unacceptable" and demanded answers by Wednesday. Peter Fleischer, Global privacy counsel, said in a statement: "Google has recently confirmed that it still has in its possession a small portion of payload data collected by our Street View vehicles in the UK. Google apologises for this error." Emma Draper, head of communications at campaign group Privacy International, said Google should be "hugely embarrassed". "The company's handling of the Street View episode has been a litany of disasters," she added. "The fact that this latest one is the result of incompetence rather than deliberate misconduct will be of little comfort to Google users. "The US Federal Trade Commission is going to come down hard on Google, and very few of their executives will deny that they deserve it." The ICO's probe into the collection of wi-fi data was re-opened earlier in July when the privacy watchdog became aware of reports that a Google engineer had deliberately written software to obtain a wide range of material.